From Tamashii Nations! At last, your favorite Dragon Ball characters will join the high-detail FiguartsZERO statue line-up! The first title will be Super Saiyan Son Goku. 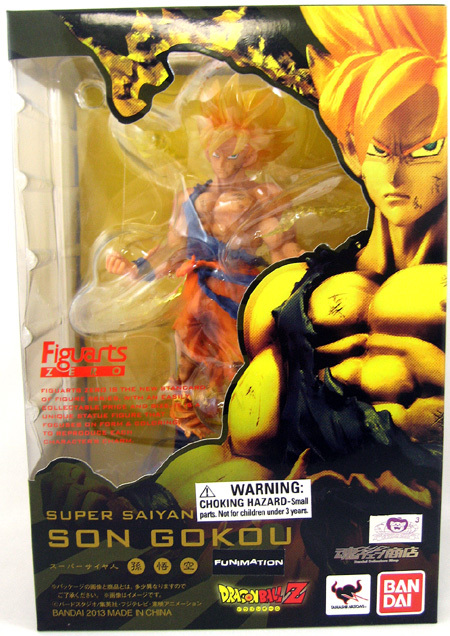 This meticulously crafted sculpt faithfully captures details such as Goku’s battle damage and depicts brilliant battle effects and Saiyan hair with translucent parts. The 6 1/4″ figure also includes a special display stand. Window box packaging.